Potential is the driving force that separates those who innovate from those who imitate. Lost potential equates to lost opportunity and lost opportunity means a slow death. The potential of your legacy, your company, and your bottom line are a direct reflection of the quality of your sales force. Chances are the potential of your sales force is no where near where it could be. We provide the clarity necessary to make the most important decisions a company can possibly make - which salespeople will be the best to drive future revenue growth and profits. "How do I consistently select, hire, onboard and coach the best-of-the-best salespeople?" Before you ask this particular question, you need to ask, "Am I interested or committed to winning?" Interested people do what is convenient. What will my leg acy be? Are you playing "not to lose"? If you play, "not to lose," then so do your salespeople. Playing "not to lose" is a sad, sad existence. If you are truly committed to shaping a beautiful, profitable legacy, then you must relentlessly seek opportunities to improve in every facet of your life and business. It is time to stop relying on gut intuition. Winning means using data to make essential sales selection / hiring decisions that will stand the tests of time. If you are truly committed to winning, you combine your invaluable intuition with objective data to make the best decisions possible. Powerful Sales Personality testing like the TriMetrix® HD will help you definitively separate future winners from the rest. If you are truly committed to winning, you select / hire the kind of salespeople who scare the hell out of your competitors. We call the best-of-the-best salespeople, "Sales Wolves". Are you honoring the greatness in your existing sales team? Chances are you are not maximizing the potential of your existing sales team and that is truly unfortunate. Most sales managers coach tactics. Precious few truly understand the unique sales personality and perspective of each salesperson. Some, not all salespeople will give 100 percent in short bursts. Engage salespeople in a meaningful, vulnerable manner and you may get 110 percent effort for long periods of time. Do your salespeople sense you care about them? Their craft? Their future? Trust the most advanced sales personality aptitude test available today. For over 17 years we have studied sales talent in numerous industries and sales situations. For over 17 years have been searching for the "Holy Grail" of sales personality testing and coaching. We have cracked the sales code; regardless of the sales role. You simply will not find a better sales assessment that is more predictive of future sales performance. You will not find a more effective sales coaching strategy. Go ahead. Compare us. We know how to separate future low-performers from true Sales Wolves. We know how to help you maximize the potential of existing sales team members. Identifying and developing “Sales Wolves” is all we do. 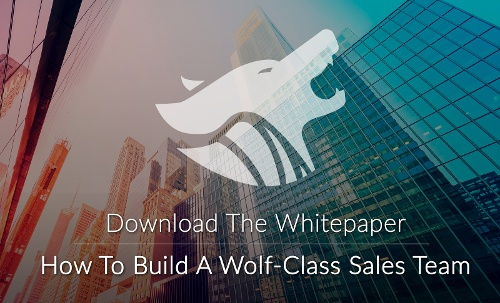 We are experts in identifying the best-of-the-best Sales Wolves - the best salespeople who have the potential to consistently sell in the top 20th percentile. We are experts in identifying individualized sales coaching strategies that inspire / motivate sales team members to give you their very best. The salespeople identified by our sales personality aptitude test are not just a little better than everyone else — they are profoundly better. How is this possible? The sales personality aptitude test we use is comprised of four sciences with validity backed by brain research. NO other assessment instrument exists with this level of confidence. Your future is a direct reflection of the salespeople you hire today. Think net present value (NPV). If you are committed to becoming the very best — driving sales revenues dramatically higher, you must hire only “Sales Wolves”. An interview alone will allow low-performers on your team. An inferior sales personality profile will provide you false confidence. We understand that finding, selecting and hiring the very best sales talent can feel impossible; like finding a needle in a stack of needles. You need to see what we can see. Complete a sample sales assessment and see for yourself. The Rainmaker Sales Hiring Algorithm - Think Moneyball. When you combine the most comprehensive multi-science sales personality aptitude test available with a patented job benchmark process, you get The Rainmaker Sales Hiring Algorithm - think "Moneyball". Our "Moneyball Approach" to hiring the best salespeople uses science, statistics and patents. Our sales personality aptitude test can objectively and accurately identify the Behaviors, Motivators, Acumen, and Skills of a candidate. Our sales personality aptitude test is the ONLY independently validated assessment with validation backed by brain research. The result is you will consistently select and hire the best salespeople possible who will consistently win. Sales Wolves make fantastic teams. We are often asked, "Isn't this just like every other sales personality aptitude test?" There are two significant differentiators that make our sales personality aptitude test the best. 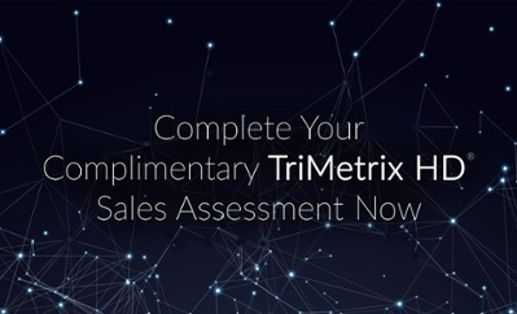 Our sales assessment objectively measures four sciences using the TriMetrix® HD - Behaviors, Motivators (Driving Forces), Acumen, and Skills. This is the most comprehensive sales personality aptitude test available today. 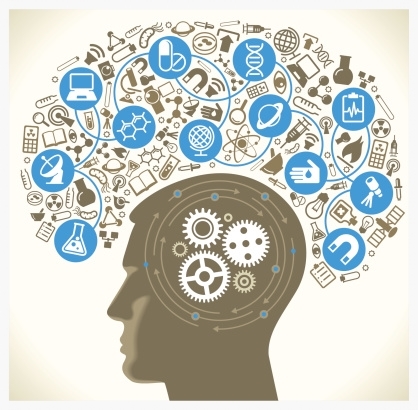 Our sales assessment validity is backed by brain research. No other sales assessment can say this. Teams accelerate when the right people are doing the right things in a culture of accountability and balance. Learn more about the new Accelerated Teams by Rainmaker Group.